BBC World Service - World Have Your Say, Can World Football Reform? Will Fifa and world football be able to move on from the Sepp Blatter era? Ben James, live from BBC Sport in Salford, talks to football fans around the world. Hear a global conversation about world football in the post-Blatter era, as Ben James, live from BBC Sport in Salford, talks to football fans around the world. Can Fifa be trusted to reform itself? Who should the next Fifa President be? How does football root out corruption, not just at Fifa HQ but at the level of individual countries around the world? 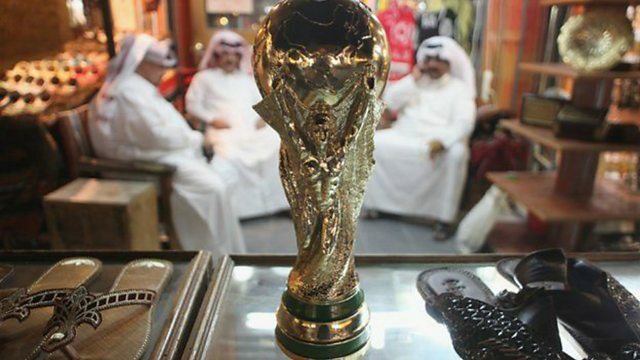 Should Russia and Qatar still host the World Cups in 2018 and 2022? And of course, we continue to talk about why Sepp Blatter chose to resign now and the growing fraud investigations. The stories behind the tournament and trailblazing sportswomen.